SCLStyle.com launched this week! It is the new division from StartingAClothingLine.com. 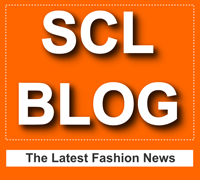 SCLStyle will feature the latest fashion, style, designer and clothing line news. Plus it will continue to empower aspiring fashion designers with tools and information that will help them create successful fashion businesses. 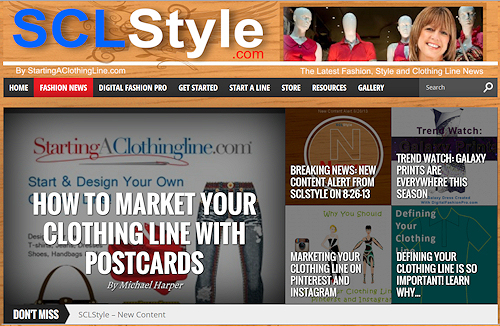 SCLStyle also has adopted an mobile responsive layout to ensure that it looks good across all mobile devices. "We are extremely excited about the new site. We are happy to take StartingAClothingLine.com into the next era," said Michael Harper, Co-Founder of StartingAClothingLine.com. SCLStyle.com will feature editorials and pieces from Michael Harper, Jay Arrington (Co-Founder), Tess Theisen (Style Writer) and SCLStyle Staff. The site will also feature interviews with designers, clothing lines and style makers. For interview request please see our contact page.